Kildare County Library Service is proud to recommend to you this selection from our library shelves as part of our programme to commemorate the 1916 Rising. Our aim is to highlight some of the broad range of classic, newly published and contemporary titles on this timely subject. All of these books are available to borrow from any of our libraries around the county and we hope you find it a great source to ignite or extend your reading interests as we enter this important time of commemoration. 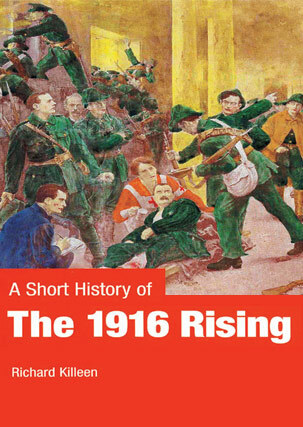 An account of the events, personalities and repercussions of the Irish rebellion. The Easter Rising began at 12 noon, 24 April, 1916 and lasted for six short but bloody days, resulting in the deaths of innocent civilians, the destruction of many parts of Dublin, and the true beginning of Irish independence. Tim Pat Coogan introduces the major players, themes and outcomes of a drama that would profoundly affect twentiethcentury Irish history. 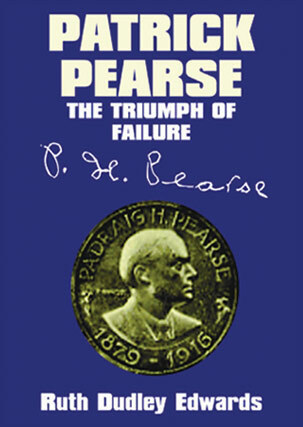 Not only is this the story of a turning point in Ireland’s struggle for freedom, but also a testament to the men and women of courage and conviction who were prepared to give their lives for what they believed was right. When the rebellion of 1916 had ended, more than 400 people were dead and over 2,000 wounded. More than half of these were civilians, but even for those civilians who were not direct casualties, the rising was one of the most momentous experiences of their lives. The accounts that Mick O’Farrell has collected come from letters, diaries, extracts from otherwise unrelated biographies, and contemporary magazine and newspaper articles. Complementing the many historical accounts of the Rising and statements from the participants, this book gives a real flavour of what it was like to live through history in the making. One of the most powerful legacies of the Easter Rising of 1916 is the Proclamation of Independence. Its words – ‘The Republic guarantees religious and civil liberty, equal rights and equal opportunities to all its citizens, and declares its resolve to pursue the happiness and prosperity of the whole nation and all of its parts, cherishing all of the children of the nation equally …’ have resonated down through the years. But how relevant is a document drafted at the start of the twentieth century to Ireland in the twenty-first century? 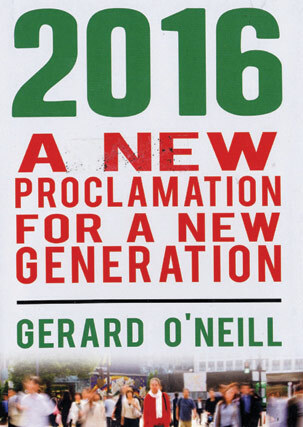 2016: A New Proclamation explores the relevance of the original proclamation to Ireland today and invites the reader to determine what they would want to proclaim for Ireland and the Irish in the years ahead. It asks the question: if we had to write it, what would the 2016 Proclamation say? 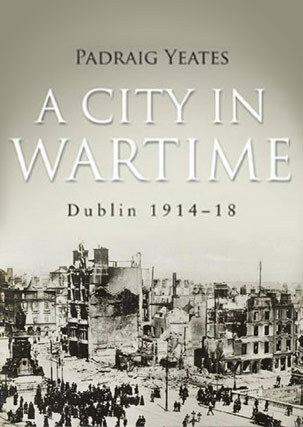 In the years 1914 to 1918 Dublin was utterly transformed. It was still recovering from the divisive class warfare of the 1913 Lockout when the First World War broke out. Twenty-five thousand men joined the British Army – many of them never to return – and the Easter Rising of 1916 transformed the city into a rebel stronghold. This fascinating history looks at how the lives of ordinary Dubliners were affected by the changes wrought. Padraig Yeates examines the motivations of those who fought on both sides in the Easter Rising, why so many working-class Dublin A City in Wartime: Dublin 1914-18 – Padraig Yeates men joined the British Army, how civilians survived the war years, the impact of the war on music halls, child cruelty, prostitution, public health and much more. Packed with violence, political drama and social and cultural upheaval, the years 1913-1923 saw the emergence in Ireland of the Ulster Volunteer Force to resist Irish home rule and in response, the Irish Volunteers, who would later evolve into the IRA. World War One, the rise of Sinn Fein, intense Ulster unionism and conflict with Britain culminated in the Irish War of Independence, which ended with a compromise Treaty with Britain and then the enmities and drama of the Irish Civil War. 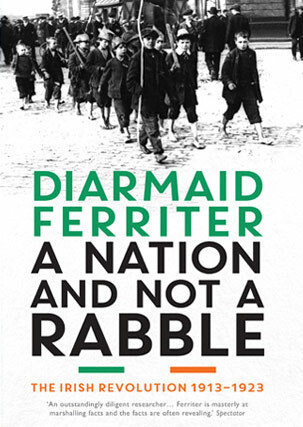 Drawing on an abundance of newly released archival material, witness statements and testimony from the ordinary Irish people who lived and A Nation and Not a Rabble – Diarmaid Ferriter fought through extraordinary times, A Nation and not a Rabble explores these revolutions. This short account of the key event in the making of modern Ireland is both a narrative and an interpretation of the 1916 Rising. The book explores the background to the Rising and covers the events of the Rising on a day-to-day basis, starting on Easter Sunday and continuing through to the surrender the following Saturday. ‘I will say a prayer for all brave men who do their duty according to their lights,’ James Connolly, May 12 1916. 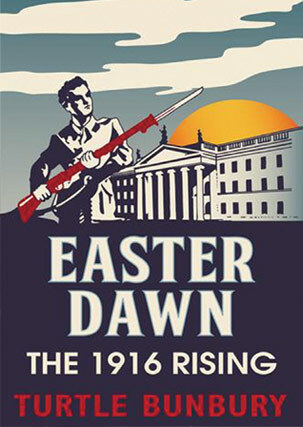 In April 1916, the Easter Rising broke out in Dublin. History remembers it as Irish rebel against English soldier, but the truth is more complicated. Thousands of British Army soldiers in the Rising were Irishmen. Many enlisted to fight for Irish Home Rule or Ulster Unionism, to seek revenge for Catholic Belgium, to find adventure or escape from poverty. All never imagined they would end up on the streets of Dublin, killing, and being killed, by fellow Irishmen. Forty-one Irishmen in the British Army died in action during the Rising, 106 were wounded. Irishmen in the British Army were involved in illegal executions; others refused to fire on fellow Irishmen. Irish soldiers and their comrades in the police account for 39 percent of British fatalities during the Rising, and 29 percent of the wounded. These men became a forgotten part of their country’s history. 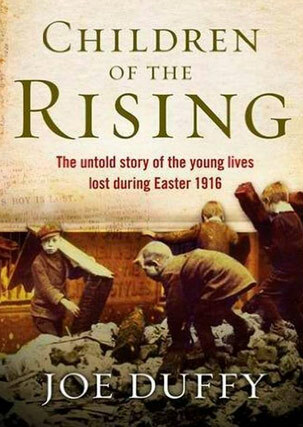 Children of the Rising is the first ever account of the young lives violently lost during the week of the 1916 Rising: long-forgotten and never commemorated, until now. Boys, girls, rich, poor, Catholic, Protestant – no child was guaranteed immunity from the bullet and bomb that week, in a place where teeming tenement living existed side by side with immense wealth. Drawing on extensive original research, along with interviews with relatives, Joe Duffy creates a compelling picture of these forty lives lost. This gripping story honours the forgotten lives, largely buried in unmarked graves, of those young people who once called Dublin their home. 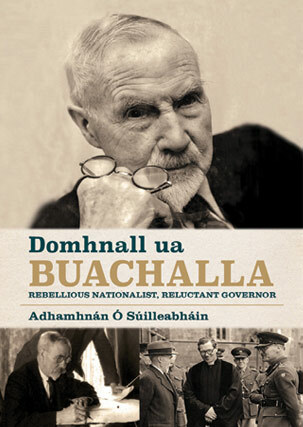 This is the first biography of Domhnall Ua Buachalla, a cultural nationalist, Gaelic Leaguer and friend of Pádraig Pearse, who became an Irish Volunteer leader in North Kildare, organising and arming the Maynooth rebels before marching to the GPO on Easter Monday 1916. It is a fascinating history of one man’s courage and the journey from rebel to high office in turbulent times. In the long and epic fight for Irish independence, few events match the drama and tragedy of the Easter Rising of 1916. Inspired by the legends of old and sharing the dream of an independent Ireland, an extraordinary alliance of men and women sought to overthrow British rule in Ireland. ‘Easter Dawn’ charts the story of the Rising from the landing of the guns at Howth in 1914, to the arrests and executions that followed it. The fate of those involved – rebel and loyalist alike – is told through eyewitness accounts and media reports. Intricately researched and emotively written, the narrative is woven around contempoEaster Dawn: The 1916 Rising – Turtle Bunbury rary photographs, many rare and unseen, providing a fresh look at the people and places involved. 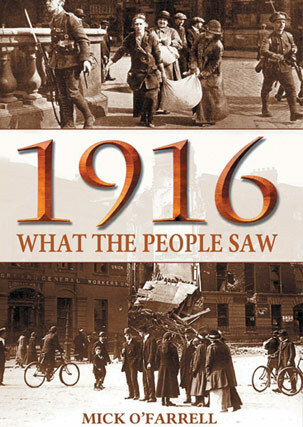 As the centenary of 1916 approaches, this book is ideally suited for anyone seeking an accessible, impartial and dramatic view of that immense week. 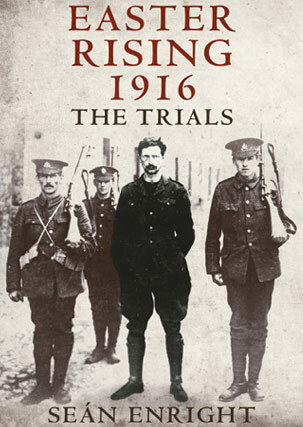 A pioneering study of the military trials of the Irish rebels following the Easter Rising. Seán Enright presents an engaging account of the rebellion drawing on recently released archives from the Public Records Office, offering fascinating insights into the reactions of the British Government in dealing with the republican prisoners throughout the trials. On Easter Monday 1916 1,600 men, women and children went out to fight for an independent Ireland. They faced the biggest and strongest empire in the world. The battle raged in Dublin for six days and resulted in 500 deaths and the destruction of many parts of the city. While mainly a Dublin affair many of the Volunteers were from outside the city; two dozen Kildare men and women took part in the Rising, including fifteen who walked from Maynooth to the GPO. Eight Kildare natives were killed in the Rising, while dozens more were wounded or imprisoned in the aftermath. The subsequent executions of the leaders of the Rising by the British awakened a generation to the cause of Irish freedom. A first-hand account of the 1916 Rising and its aftermath brings alive the historic events that ushered in the beginnings of an independent Irish state. A Londoner and a member of the Irish Volunteers, Joe Good guarded the approach across O’Connell Bridge as the rebels took the centre of Dublin. He joined the garrison in the GPO, and describes at first hand the events of insurrection: the confusion, the heroism, and the tragedy of Easter Week. After the Rising, Joe Good worked as an organiser for the Volunteers. Joe Good, born in London in 1895, died in Dublin in 1962. He wrote his journal in 1946 for his son Maurice, who has now edited it for publication. New revised edition of the critically acclaimed and seminal biography of John Devoy, by New York best-selling author Terry Golway. 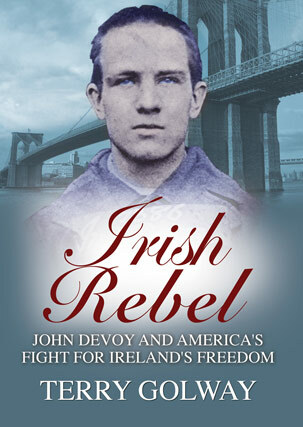 Described by Patrick Pearse as “… the greatest of the Fenians”, John Devoy was the true architect of the Irish Independence Movement and of Irish America, and his extraordinary life is beautifully portrayed in Golway’s compelling narrative. 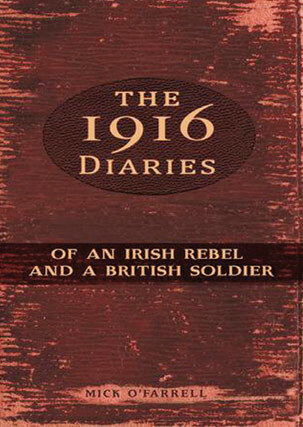 This book contains the unpublished diaries of two men writing under fire on the streets of Dublin in April 1916. In Jacob’s factory, Volunteer Seosamh de Brun wrote in his tiny diary about guard duties and a bicycle sortie to help de Valera, during which a sniper killed one of the cyclists. Meanwhile, across the Liffey, British soldier Samuel Lomas wrote in his own diary of building barricades across Moore Street and participating in the executions of Pearse, Clarke and MacDonagh, giving new insights into the rebellion’s grim closing days. Mick O’Farrell brilliantly juxtaposes these two accounts, The 1916 Diaries – Mick O’Farrell including facsimiles that show through deteriorating handwriting the increasing pressure the diarists were under, to give a dramatic account of how ordinary participants experienced the events of Easter week. 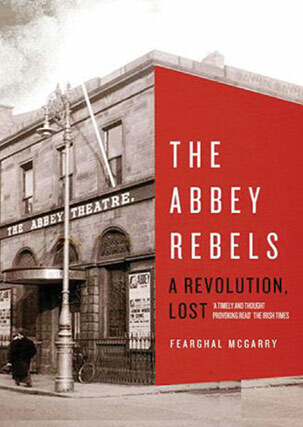 Today, the Abbey Theatre is world famous as the principal venue of the Gaelic revival. Through powerful dramas like Cathleen ni Houlihan, the national theatre established by W. B. Yeats and Lady Gregory played a leading role in the politicisation of an entire generation of Irish revolutionaries. While the lives and efforts of the Abbey’s founders have been thoroughly documented, comparatively little is known about the men and women who actually formed the revolutionary lifeblood of the institution: those whose radical politics drove them to fight in the Rising. What led them to become rebels in the first place? What was Irish theatre to separatist politics in the years before 1916, and how did drama shape the Easter Rising? And what happened to these rebels after the revolution? 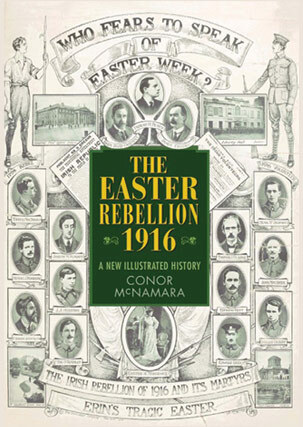 The Easter Rebellion of 1916 was one of the first comprehensively documented political rebellions in the twentieth century. A generation of extraordinary revolutionaries left behind iconic photographs, manuscripts, personal notebooks, letters of insurgents and civilians, and political cartoons. Now, for the first time, this material is gathered together in a riveting exploration of this violent and tragic event. By exploring some of the lesser-known dimensions, such as the role of Ireland’s revolutionary women, the experience of the civilian population, and personal papers of ordinary volunteers, this sympathetic study does not obscure the grim realities of political violence. 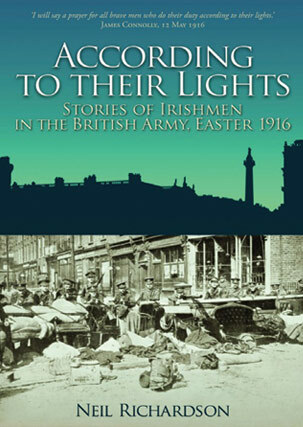 The indelible imprint of the events of Easter Week 1916 on Irish people across the world is authoritatively portrayed. 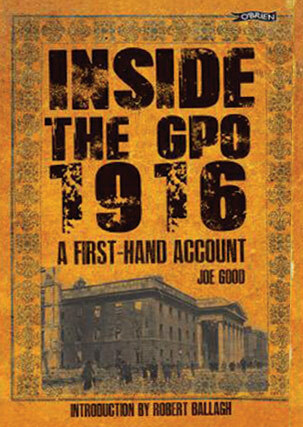 Extraordinary eye-witness accounts of the dramatic events of Dublin during Easter week 1916, told from a variety of fascinating perspectives – from the Secretary of the GPO to the foot soldier on the street – all providing a compelling new window into the traumatic six days that changed the course of Irish history. 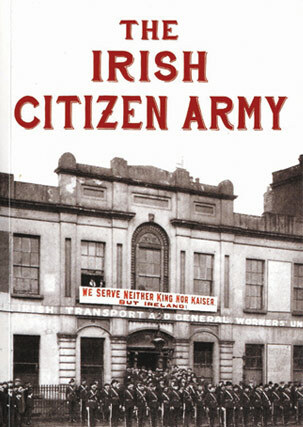 The Irish Citizen Army was originally established as a defence corps during the 1913 Lockout, but under the leadership of James Connolly its aims became more Republican and the IRB, fearing Connolly would pre-empt their plans for the Easter Rising, convinced him to join his force with the Irish Volunteers. During the Rising the ICA was active in three garrisons and the book describes for the first time in depth its involvement at St Stephen’s Green and the Royal College of Surgeons, at City Hall. The author questions the much-vaunted myth of the equality of men and women in the ICA and scrutinises the credentials of Larkin and Connolly as champions of both sexes. She also asserts that the Proclamation was not read by Patrick Pearse from the GPO, but by Tom Clarke from in front of Nelson’s Pillar. Kildare County Council met for the first time on 22 April 1899. 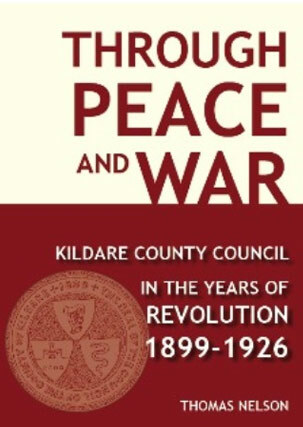 Tom Nelson’s study follows the setting up and administration of the Council through the ‘revolution’ in local politics in the 1890s, the First World War, 1916 Rising, War of Independence and subsequent Civil War, and the setting up of the Irish Free State. We get to know the personalities – unionist, nationalist and republican – who formed the Councils through those turbulent years. Grace Gifford is one of the tragic stories of the 1916 Easter Rising, but the poignancy of her brief marriage to the executed rebel leader Joseph Mary Plunkett has tended to overshadow her family’s deep commitment to the cause of the Irish Republic. Grace was the second youngest of twelve children. Her sisters were raised in their mother’s Protestant faith and the sons were raised as Catholics. 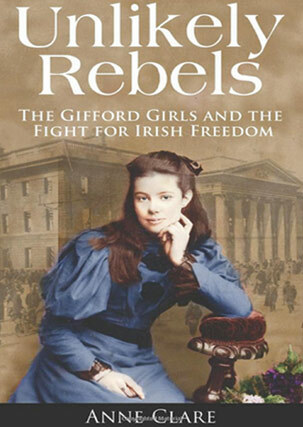 The Gifford sisters were heavily involved with the leaders of the 1916 Rising, such as Constance Markievicz, Thomas MacDonagh (who married Grace’s sister, Muriel), Padraic Pearse and Maud Gonne. The sisters became strong supporters of the Irish Women’s Franchise League, a militant organization working to obtain voting rights for women. ‘Well, I’ve helped to wind up the clock – I might as well hear it strike,’ Michael Joseph O’Rahilly. 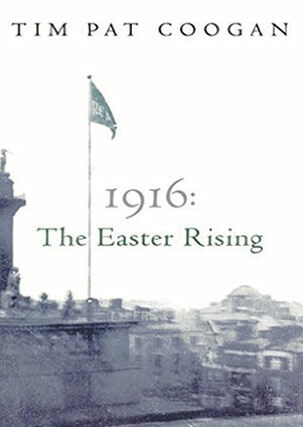 The Easter Rising of 1916 was a seminal moment in Ireland’s turbulent history. For the combatants it was a no-holds-barred clash: the professional army of an empire against a highly motivated, well-drilled force of volunteers. 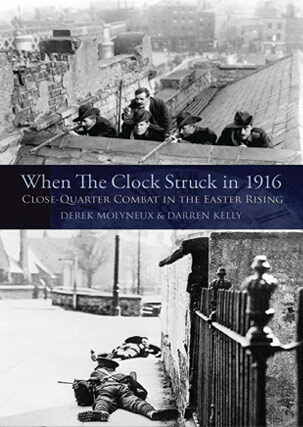 What did the men and women who fought on the streets of Dublin endure during those brutal days after the clock struck on 24 April 1916? For them, the conflict was a mix of bloody fighting and energysapping waiting, with meagre supplies of food and water, little chance to rest and the terror of imminent attacks. 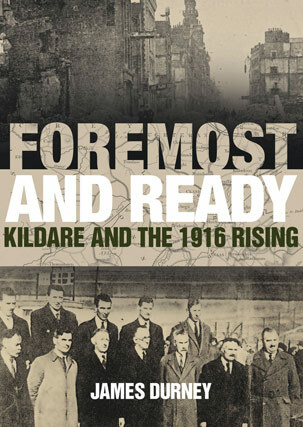 This thought-provoking book retells the 1916 Rising story through previously unavailable firsthand accounts from the protagonists. Illustrated with unpublished and rare photographs, this book also features an introduction by well-known historian and author Dr Margaret Mac Curtain. 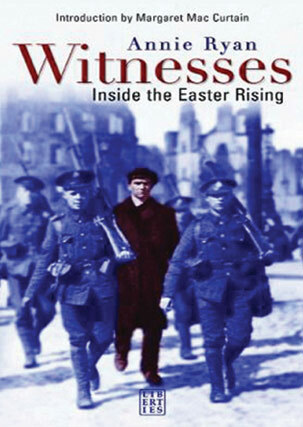 Witnesses: Inside the Easter Rising is the first book to draw on official witness statements taken over several years from the late 1940s onwards. 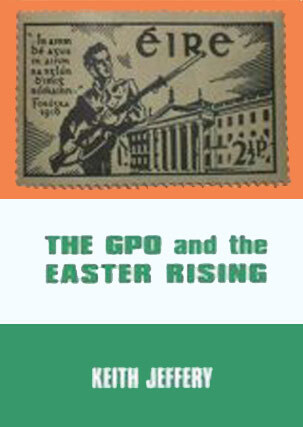 In its judicious use of the statements given by the footsoldiers and second-line participants in the Rising, the book provides a unique perspective on the events of Easter 1916. From the volunteers walking the Royal canal from Kildare to fight in Dublin (of which the author’s father was one) , to the women fighting, smuggling guns and cooking for the insurgents in the GPO.